Eons ago, when building models was still just a hobby, I used to spend two or three hours a day in my model room (single men could do that...) Now it's a job, a structured day is very important. It's a good thing I don't enjoy daytime TV, and that I enjoy a degree of motivation that some people who work from home claim hard to find. 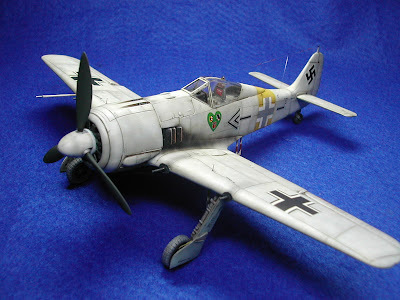 This Do 217K is of course the Revell tooling. The parts fit is very good and it has some lovely detail. The cockpit especially is worth spending your valuable time on - and I did. 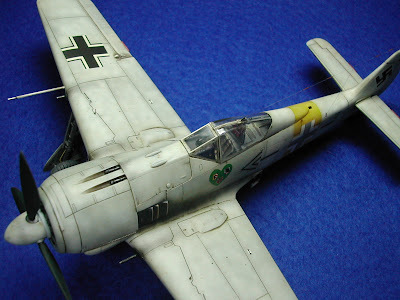 This FW 190A-4 is reasonably well known. Can you name its pilot? He was a famous commander. 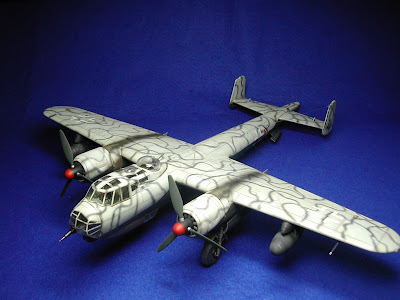 I was a little disappointed with this Hasegawa kit - they are keen to get as many variants as possible out of the mould, with the result that fit is poor for the nose, and wing roots. Nothing that can't be overcome though. The Eduard cockpit made quite a difference to the overall finish. 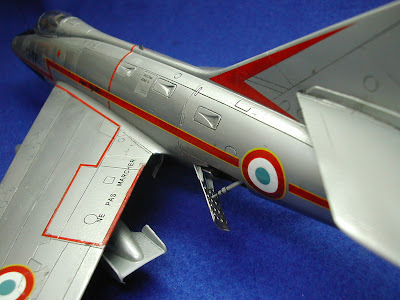 Finally, who would have thought it - a 1/48 Super Mystere. 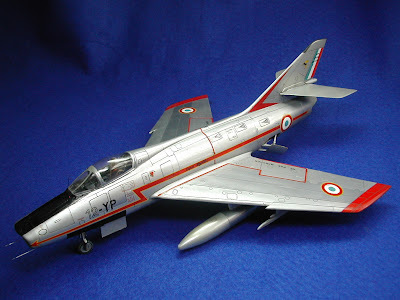 A big model, very like an F-100, and for me, my first Fonderie kit. Not a bad kit, though not without problems, as mentioned on here before. 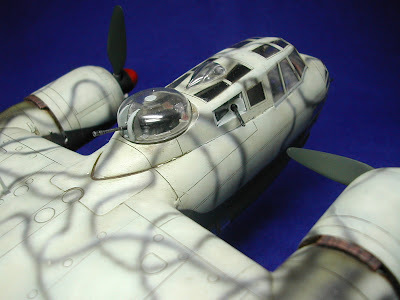 But it has some very nice features too, and the completed model is a real eye-ful! So all those hours locked away in my room really do produce something!